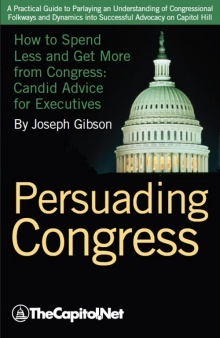 Executive branch action to defer, or delay, the spending of appropriated money. The 1974 Congressional Budget and Impoundment Control Act requires a special message from the president to Congress reporting a proposed deferral of spending. Deferrals may not extend beyond the end of the fiscal year in which the message is transmitted. A federal district court in 1986 struck down the president's authority to defer spending for policy reasons; a federal appeals court upheld the ruling in 1987. 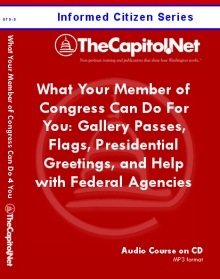 Congress can and has prohibited proposed deferrals by enacting a law doing so; most often cancellations of proposed deferrals are included in appropriations bills. Designations that indicate the relationship of an amendment to the text of a measure and of one amendment to another. Amendments are permitted only in two degrees. A motion made for the purpose of killing time and preventing action on a bill or amendment by a house or a committee. 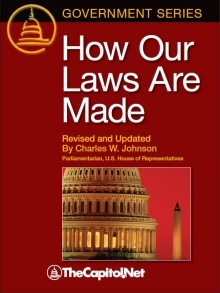 House rules outlaw dilatory motions, but enforcement is largely within the discretion of the Speaker or chairman of the Committee of the Whole. The Senate does not have a rule banning dilatory motions, except under cloture. The tactics include, among others, demanding quorum calls and votes at every opportunity. To reject an amendment of the other chamber. To remove a measure from committee to which it has been returned in order to make it available for floor consideration. This is attempted more often in the House than in the Senate, and the procedure rarely is successful. In the House, if a committee does not report a bill within 30 days after the measure is referred to it, any member may file a discharge motion. Once offered, the motion is treated as a petition needing the signatures of 218 members (a majority of the House.) After the required signatures have been obtained, there is a delay of seven days. Thereafter, on the second and fourth Mondays of each month, except during the last six days of a session, any member may enter a motion to discharge the committee. The motion is handled like any other discharge petition in the House. The House calendar to which motions to discharge committees are referred when they have the required number of signatures (218) and are awaiting floor action. Short title for it is Calendar of Motions to Discharge Committee. Appropriations not mandated by existing law and therefore made available annually in appropriation bills in such amounts as Congress chooses. As defined by the Budget Enforcement Act of 1990, it refers to budget authority - and the outlays derived from it - provided in the annual appropriations acts, other than appropriated entitlements. Ceilings or "caps" on budget authority and outlays for discretionary spending programs as set by the Budget Enforcement Act of 1990. 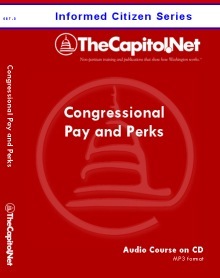 Congressional rules and sequestration procedures enforce these spending limits. Discretionary spending limits apply to three categories for fiscal years 1991-93 (domestic, defense, and international affairs) and to total discretionary spending for fiscal years 1994-95. For expenditures, an amount set aside within an appropriations account for a specified purpose. Several amendments offered as a group after obtaining unanimous consent. Once legislation has passed both chambers of Congress in identical form, been signed into law by the President, become law without his signature, or passed over his veto, the legislation is enacted. Key phrase in bills beginning "Be it enacted by the Senate and House of Representatives . 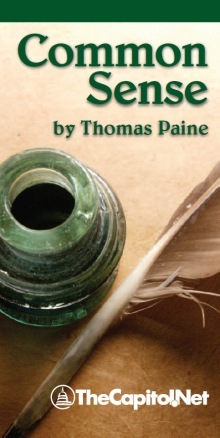 . ." A successful motion to strike it from legislation kills the measure. The final official copy of a bill as passed by one chamber, with the text as amended by floor action and certified by the clerk of the House or the secretary of the Senate. A Federal program or provision of law that requires payments to any person or unit of government that meets the eligibility criteria established by law. Entitlements constitute a binding obligation on the part of the Federal Government, and eligible recipients have legal recourse if the obligation is not fulfilled. Social Security and veterans' compensation and pensions are examples of entitlement programs. A provision of law that requires payments to any person or unit of government that meets the eligibility requirements established by such law. Entitlements constitute a binding obligation on the part of the federal government, and eligible recipients have legal recourse if the obligation is not fulfilled. Entitlement legislation requires annual appropriations unless the existing appropriation is permanent. Examples of entitlement programs are Social Security benefits and veterans' compensation. A federal program that guarantees a certain level of benefits to persons or other entities who meet requirements set by law, such as Social Security, farm price supports or unemployment benefits. It thus leaves no discretion with Congress on how much money to appropriate, and some entitlements carry permanent appropriations. Nominations and treaties; called executive business because these categories of business are received by the Senate from the president, rather than introduced by senators. This is a non-legislative calendar in the Senate on which presidential documents such as treaties and nominations are listed. A message sent to the Senate by the president or other executive branch official. Presidential veto messages are an example of an "executive communication." 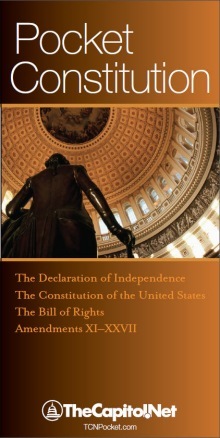 A document, usually a treaty, sent to the Senate by the president for approval. 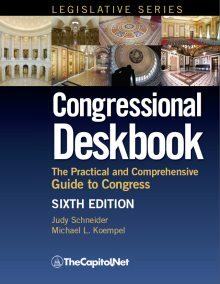 Executive documents are identified for each session of Congress as Executive A, 101st Congress, 1st Session; Executive B, etc. They are referred to committee in the same manner as other measures. Unlike legislative documents, however, treaties don't die at the end of a Congress but remain "live" proposals until acted on by the Senate or withdrawn by the president. 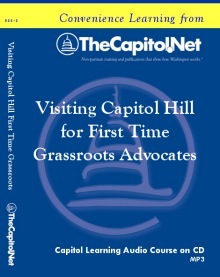 (1) A meeting of a Senate or House committee (or occasionally of either chamber) that only its members may attend. Witnesses regularly appear at committee meetings in executive session - for example, Defense Department officials during presentations of classified defense information. 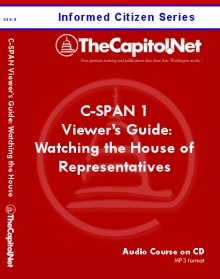 Other members of Congress may be invited, but the public and press are not allowed to attend. (2) A Senate meeting devoted to the consideration of treaties and nominations. Literally, by virtue of one's office. The term refers to the practice under Senate rules that allows the chairman and ranking minority member of a committee to participate in any of the subcommittees of that committee, but generally not to vote. The actual spending of money as distinguished from the appropriation of funds. The disbursing officers of the administration make expenditures; only Congress makes appropriations. The two are rarely identical in any fiscal year. In addition to some current budget authority, expenditures may represent budget authority made available one, two or more years earlier. 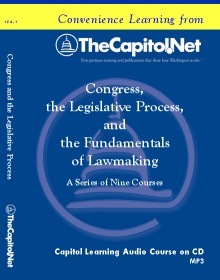 Procedures that circumvent or speed up all or part of the legislative process. Some rule-making statues prescribe expedited procedures for certain measures, such as trade agreements. The federal debt consists of public debt, which occurs when the Treasury of the Federal Financing Bank (FFB) borrows money directly from the public or other funds or accounts, and agency debt, which is incurred when a federal agency other than the Treasury of the FFB is authorized by law to borrow money from the public or another fund or account. The public debt comprises about 99 percent of the gross federal debt. All monies collected and spent by the federal government other than those designated as trust funds. A time-delaying tactic associated with the Senate and used by a minority in an effort to delay, modify or defeat a bill or amendment that probably would pass if voted on directly. 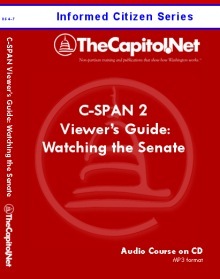 The most common method is to take advantage of the Senate's rules permitting unlimited debate, but other forms of parliamentary maneuvering may be used. The stricter rules of the House make filibusters more difficult, but delaying tactics are employed occasionally through various procedural devices allowed by House rules. (Senate Filibusters, see Cloture.) 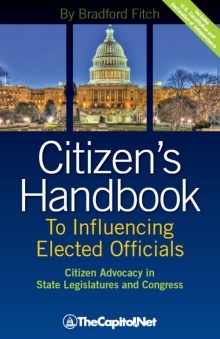 Also see the CRS Reports discussing filibusters and cloture linked on our Legislation and Legislatures page and the Congressional Deskbook, Section 6.210. The federal government's annual accounting period. Financial operations of the government are carried out in a 12-month accounting year, beginning on October 1 and ending on September 30. The fiscal year carries the date of the calendar year in which it ends and is referred to as FY; for example, fiscal year 2006 begins on October 1, 2005 and ends on September 30, 2006. (From fiscal year 1844 to fiscal year 1976, the fiscal year began July 1 and ended the following June 30.) See Title 31 U.S.C. Section 1102. An amendment offered by an individual senator from the floor during consideration of a bill or other measure, in contrast to a committee amendment. The Majority Leader and Minority Leader are elected by their respective party conferences to serve as the chief Senate spokesmen for their parties and to manage and schedule the legislative and executive business of the Senate. By custom, the Presiding Officer gives the floor leaders priority in obtaining recognition to speak on the floor of the Senate. A member who has the task of steering legislation through floor debate and the amendment process to a final vote in the house or the Senate. Floor managers usually are the chairmen or ranking members of the committee that reported the legislation under debate. Managers are responsible for apportioning the debate time divided between the parties (for general debate in the House Committee of the Whole) or allocated between supporters and opponents of the bill or amendments to it (under a Senate time agreement). The ranking minority member of the committee normally apportions time among minority party members participating in debate. A member's facsimile signature, which is used on envelopes in lieu of stamps, for the member's official outgoing mail. The "franking privilege" is the right to send mail postage-free.